Today I had the privilege of interviewing Scottie Haskell, a professional session singer from Los Angeles. Scottie received my Singing Through Life book as a gift over the holidays and loved it, which was really nice! I interviewed her today for my Fearless Voice Power affordable singing lessons series and thought that several things she had to say would be helpful for you. One of the things she shared with me in the interview had to do with how she feels about singing in front of a live audience. Since she has been a session singer all her life – she started when she was 7 years old – she has not necessarily enjoyed live singing. What I love about Scottie’s attitude is that she always wants to push her own envelope and when she is not comfortable with something she is doing in singing, she knows what to do with her mindset. And she was ok. More than ok, as a matter of fact. Scottie enjoyed singing that night and continues to put herself in situations where she sings in front of people. In other words, her singing mindset is in the right place to help her push ahead with new goals, new challenges and new successes. That is how we all should be! Scottie is a professional, in the truest sense of the word, and she knows how to make use of a singing mindset to overcome her personal fears. One of the things I strongly stress in my work as a singing teacher is your singing mindset. In fact, in my Fearless Voice Power singing lesson series, in addition to all the other powerful training materials, there are 12 singing mindset audio lessons with PDF worksheets to help you overcome your fears and your negative thoughts about your own singing voice. One of the gigs Scottie recently did as a session singer was for T-Mobile. She described this particular job as an example of how much fun singing professionally as a session singer can be. I am posting the video here of this particular job. The “singers” you see are only lip-syncing. All of the vocals were done in a studio with professionals like Scottie. Her voice is in the recording. And the 4+ million views of the video tells you what you need to know about the success of the session singers’ recording. Enjoy, and remember to keep your singing dreams alive. The reason I do what I do is to help you do just that! 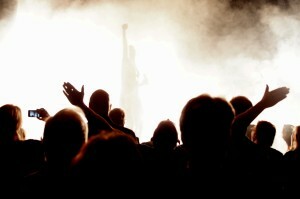 Find out how to start making your singing dreams come true!